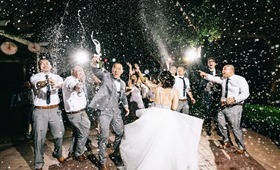 Leo Pham, owner of Leo Pham Photography in San Francisco, believes in honoring the bridal couple’s vision and creating wedding photos that evoke unique emotions and memories. His wedding photography brings a special truth to a special day. My name is Leo Pham. 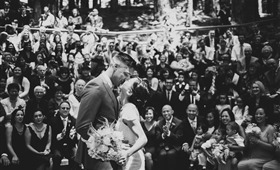 Since 2012, I've been a full-time wedding photographer in the San Francisco Bay area. Photography is my passion and I was so lucky to turn that passion into a career. When I'm not taking photos or editing, I spend most of my time playing sports (particularly soccer) and reading books (especially investment books). I find those two fascinating ways to physically and mentally train myself. I focus on what matters to my clients and I deliver it because, at the end of the day, it's my clients who put trust on me, who give me the opportunity to capture one of the most special days of their life. I have a big reward collection, and it's growing bigger every year. However, if you google my name and my reward collection, you probably won't find it because it is not where it lies. It lies in a box, where I keep all the thank you cards from my clients. That's is my reward collection. You see, I'm not running after those types of reward other websites or magazine gives me. I focus on what matters to my clients and I deliver it because, at the end of the day, it's my clients who put trust on me, who give me the opportunity to capture one of the most special days of their life. How did you become a wedding photographer? Wedding photography wasn’t what I planned for from the beginning. I actually started out as a fashion photographer. My first goal for photography was to become a world-class commercial photographer, working with top magazines like Vogue, Elle. I knew my passion is photography. However, for all those years doing fashion photography, I knew there was something missing. “Why do I do that?”, I asked myself. Was it because of fame, because of money, or because it satisfied me? I couldn’t figure out ... until one day, a wedding photographer asked me to shoot with him. I was hooked. And my path had changed since then. I just want my clients' family to look at my photographs and remember all the happiness they had in their life. I know the photographs I take today will be treasured for many generations. Unlike fashion photography where my work would be quickly forgotten, wedding photography is where my work has a profound meaning to someone. I don’t need millions of people to see my photographs. I just want my clients' family to look at my photographs and remember all the happiness they had in their life. I know the photographs I take today will be treasured for many generations. Photojournalism is the core of my style. It's a style that documents a wedding day as it naturally unfolds, in the most authentic way. It focuses on the moments, reactions of not only the couple but also the people around them. In addition to that, I know that my clients have put so much time, effort, and money into every detail of their wedding. For that, I take advantage of the editorial style (which I acquired since the beginning of my photography career), to create the best styling for those details. How should couples choose a wedding photographer? Can you feel their photographs OR do you see yourself in those photographs? This question helps you determine the style you want. If you look at a photograph, even though it is beautiful, and you just can't see yourself in it, that is not the style you want. If you look at a photograph that seems "normal", but somehow, you feel it and you can see you in it, that's the style you are looking for. Do you like them as a person? The relationship between you and the photographer is unique. If you like and feel connected to them, it is likely that you will feel comfortable and fully express yourself in front of their camera. It is like going on a road trip with a person. If you like them, the trip would be so much enjoyable. The only thing that will stay with time is our photographs. So, photography is the most important aspect of our wedding, so is a wedding photographer. How important is a wedding photographer for your special day? I'm speaking this out of our own wedding experience. For us, planning a wedding is a lot of works yet so rewarding to see every single piece comes together on the most spectacular wedding day. But one thing I know for sure: no matter how much we prepare, no matter how much we love our wedding details (the dress, shoes, flower, food, desert, etc. ), they will not last forever. This means there is nothing left after the wedding to remind us how beautiful our wedding day was (except the dress and suit if we still have room in our closet, but that is pretty much it). The only thing that will stay with time is our photographs. 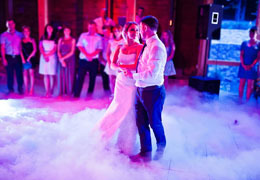 So, photography is the most important aspect of our wedding, so is a wedding photographer. How does a typical wedding photo shoot go? Although there is a great variation, a typical wedding photo shoot starts with the bride & groom getting ready when I take photos of all details and the actual preparation (makeup, put on the dress, shoes). Then, the First Look & Portrait take place. After that is the ceremony. Then, we do family photos, a little more portrait during cocktail hour. Before the reception starts, I take photos of the reception decoration while the bride & groom are mingling with their guests. Finally is the reception, where most of the fun activities lie: first dance, toast, cake cutting, bouquet toss, and dancing. There is no single answer for how long the bride & groom should allocate to have the best wedding photos. It requires careful planning and consideration, based on the couple's preference and their wedding structure. In general, if possible, try to allocate more time than you think you need. Weddings tend to runs late. Having more time means more room and cushion for any delay and ensure the best experience for the couple. Also, there is no best place for wedding photography. Every place is beautiful in its own way. Also, there is no best place for wedding photography. Every place is beautiful in its own way. I find many photographers say outdoor with natural light is the best place for wedding photography. It is just partially true. A well-rounded wedding photographer will be able to take great photos no matter where it is. Indeed, many of my best shots are done with low light, where I can creatively use flash to create beautiful photos. What is in the ideal Wedding photographer's kit? At least two full-frame DSLR, one main and one backup. All high-quality prime lenses, ranging from 35mm to 135mm. A wide-angle lens like 16-35mm. Lots of flashes, LED light, batteries and memory cards. First, I want you to understand that not anyone with a camera can be a wedding photographer. To become a wedding photographer, a person must spend lots of time practicing and mastering their skills. They cannot do that simply by reading books, watching Youtube, or searching Google. They have to photograph real weddings. Moreover, they have to invest thousands of dollars (I mean $10 at least) into equipment to get the job done and deliver high-quality products. Then, they have to pay a lot more for insurance, software subscription, etc. That's a huge investment that only serious photographers can withstand. They have to be physically fit to able to stand the pressure of the wedding day (usually 8+ hours) non-rest, carrying lots of gears and running around to capture moments. Moreover, they also spend a lot of time before the wedding for meetings, answering email, helping their clients with questions, planning, recommendation, etc. And after the wedding is when their works are the heaviest and most time-consuming: select & edit, upload & deliver. These cannot be done within 1 or 2 days. It can be weeks. As you can see, that's a lot of time and money they spend on each wedding. And if you think they will bring home all they charge for their service, you might want to think again. A GOOD business has to pay applicable taxes, which this significantly reduces their profits. Thus, to sustain their business and deliver high-quality products they have to charge high enough. A great photographer will give you great photographs regardless. For those on a tight budget, which photography services are a must have vs. nice to have (i.e. where should you splurge and where should you save)? Album, canvas (or other types of print), engagement (or any other session besides the wedding) are nice to have. Prints are something you can do later if you have the time and money to invest. An engagement session can be done by a friend who knows how to take photos. High-resolution photos is a must have. Although you can print your photos later, you need high-resolution so that you can print any size you want. Extra hours of coverage is a must (if your wedding schedule requires). You don't want to cut down the photographer coverage to the point where you are under great pressure trying to fit everything into a short coverage. Planning a wedding is a great pressure already, you don't need another. Last but not least, a great photographer. A great photographer will give you great photographs regardless. These photographs will stay with you forever, pass down to many later generations. What was the most memorable wedding you photographed? My first wedding. I was studying hard, practicing a lot, mentally and physically prepared for years working for other photographers. It was when I put all that I learned together and proved myself. The wedding wasn't at a fancy venue, didn't have expensive decoration. Compared to the weddings I have in the last few years, there was not much to capture in term of details, and there was nothing that can help the photos look more beautiful. The ceremony was at Botanical Garden in Berkeley and the reception was at the backyard of a church. The decoration was all DIY and minimal. However, what I pursued was the moments and the authenticity of the couple's happiness. And it reflected in the final result. 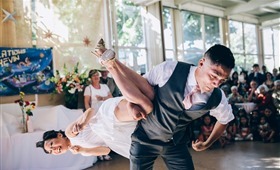 Many wonderful moments were captured, the couple was connected to me and fully express themselves. Till this day, some of those photos are still my best shot. 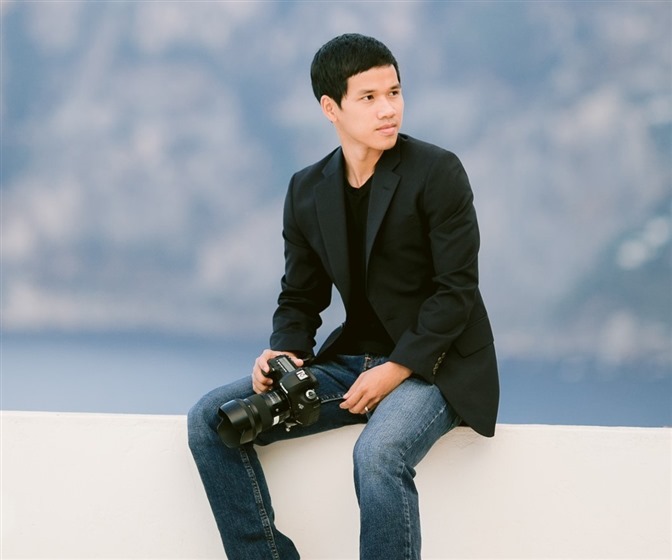 Learn more about Leo Pham Photography and see what they have to offer!